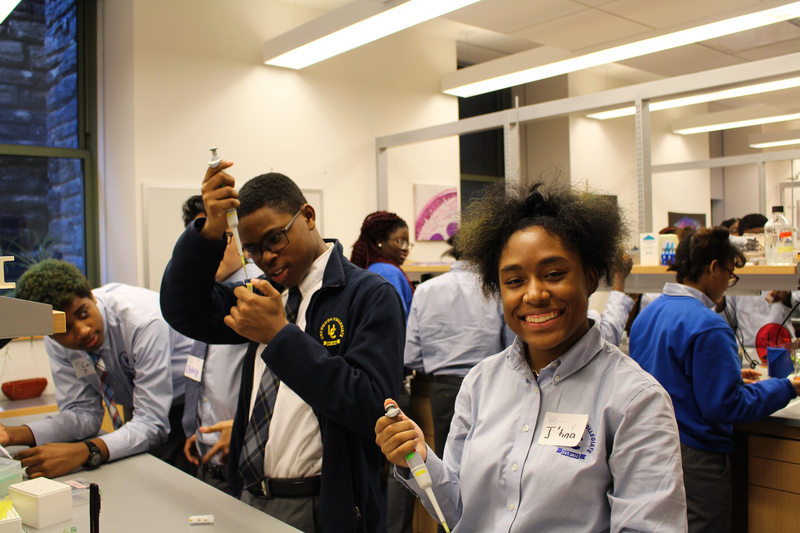 Welcome to RockEDU Science Outreach. Our collaborative and creative team of scientists, educators, and support staff strives to shape and promote science outreach as a set of opportunities for members of our communities to engage with science as a relevant, human endeavor, and to foster a genuine connection with science in our society. Bienvenidos a RockEDU Science Outreach. Nuestro equipo de creativos, educadores, científicos y personales brindan la oportunidad en las comunidades para promover la ciencia. El resultado de estos esfuerzos es estabilizar una connecion estable y auténtica con la sociedad. We work at the intersection of basic science research and K-12 science education to create innovative and flexible science resources and programs that promote equitable access to and an appreciation for the scientific process, and are sustained through a culture of outreach within the scientific community. We meet students and teachers at various levels in order to foster active dialogue with scientists, hands-on experience in an authentic lab, and increasing awareness of the science all around us. Collectively these are known as the Learning At the Bench (LAB) Initiative. 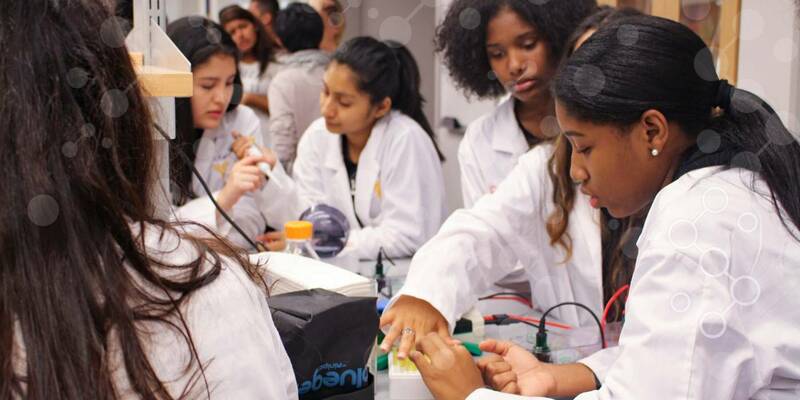 The RockEDU team, in essential collaboration with New York City scientists, engages with our local educational community through our LAB initiatives.  Email RockEDU Science Outreach here. For information about the Summer Neuroscience Program, please e-mail snp@rockefeller.edu. RockEDU Presents is FREE for all High School students. Please sign up and join us! In this 6-hour CTLE certified course, teachers will participate in a simulated outbreak and the laboratory work needed to track the infection. We will also discuss the immune system, viruses, and HIV in particular. Teachers will be given some time to use the resources present to sculpt takeaways that work best for their class. In this 6-hour CTLE certified course, teachers will learn about some fun ways to teach biochemistry (think biomolecules like proteins, starches, and fats) at different levels through their engaging relevance to an egg sandwich (think egg/cheese, bread, and avocado/mayo). Teachers will also get to explore these resources in RockEDU’s new online format in order to learn about and share feedback on the new website.